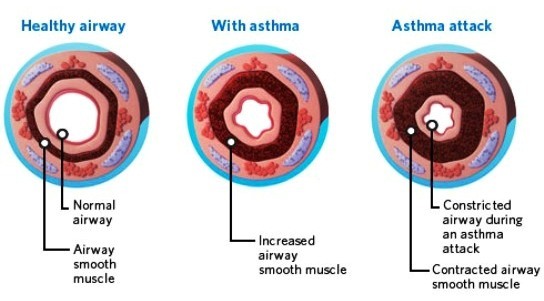 One of the major facts about asthma is that it is such a common disease. Tens of millions of people worldwide have the condition and more than one-quarter of them are children younger than 18 years. The rates are steadily rising, though no one can state exactly why. There are probably many reasons for the increase. Not only is more being learnt about what causes asthma, but more accurate methods of diagnosing the disorder and better ways of treatment are now available, even in very young children. Asthma may appear at any age; however, between 80% and 90% of children with asthma develop symptoms by age 4 or 5 years. Fortunately, in the vast majority of cases, symptoms are mild to moderately severe. When the condition is properly managed with medications and environmental measures, most severe, potentially incapacitating flare-ups can be prevented. 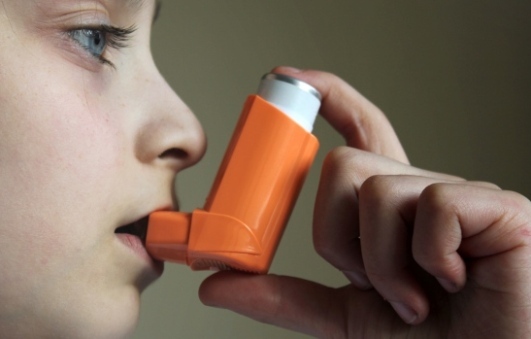 There are often early warning signs that a child is at risk for developing asthma - eczema starting in the early months, frequent lower respiratory symptoms and problems appearing before the first birthday, and having a family history of asthma. Many children suffer needlessly because those around them aren't aware of the warning signs of asthma and do not bring the signs to their pediatricians' attention. Asthma can masquerade for years as chronic or recurrent bronchitis, recurrent pneumonia, chronic cough, or lower respiratory infections. Discuss with your pediatrician the possibility that your child has asthma if he has these masquerading conditions. Symptoms may not always be there; instead, they may occur occasionally, such as when your child plays energetically, laughs or cries, or sleeps. Perhaps you notice that your child wheezes or coughs when visiting a home in which someone smokes or has a cat. If symptoms come on at particular times, be sure to mention the circumstances to your pediatrician. The more facts your pediatrician has, the easier it is to diagnose asthma and the sooner treatment can start. As an attack happens, a child may begin coughing as he or she breathes. The child then may feel chest tightness. Soon he/she starts to wheeze, beginning with a slight whistling sound and continuing with a shrill rasp as he/she tries to get air into their lungs. The child breathes fast, working so hard that you can see their abdomen going in and out, and their chest being sucked in on every breath. This effect is particularly noticeable in children whose chests are small and flexible. The child may appear restless and fearful. For a child who doesn't yet know how to get symptoms under control and live with asthma, even the thought of an asthma attack is frightening. They panic at the thought of feeling starved for air and struggling to breathe - an action the rest of us can perform without thinking about it.